The Queen definitely had a point. I’ve been living in Beaulieu-sur-Mer for the past six years and feel the same glowing affection for this miniature coastal town wedged between Villefranche-sur-Mer and Èze. And even if the most splendiferous Riviera paradise is bound to lose its lustre over a century later, Beaulieu’s timeless, quiet glamour still reigns. These days, more than ever, there’s a surge of innovative energy in this lovely, laid-back one-horse town that has somehow escaped commercial over-development. With over 200 shops and businesses – clothes boutiques, furniture stores, galleries, gourmet grocers, florists, cafés, and restaurants – it’s a small miracle that Beaulieu’s bling factor is so low. Call it refreshingly untrendy. You won’t find big label designer shops like in Saint-Tropez or cutesy, industrial-made souvenirs. If you crave lavender soap, the Saturday morning Provençal market sells the real thing. 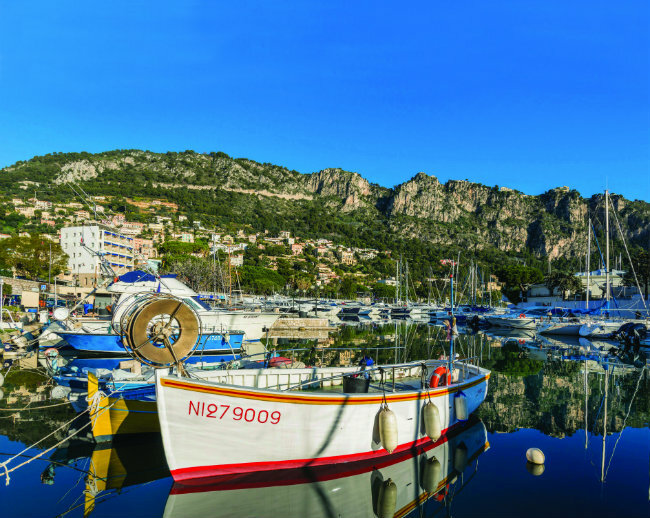 One of the tiniest villages in France – a minuscule 0.95 square kilometres – Beaulieu-sur-Mer is nestled in a curve protected by tall, grey slabs of the rocky foothills. The town became independent from Villefranche-sur-Mer in 1891, which was when the term Berlugan (from Beaulieu) was coined. The seafront gardens are ablaze with brightly coloured flowers and shaded by tall, thin, graceful palms. As you wander round, you’ll see ancient magnolia trees with an impressive tangle of gnarled roots, wind-swept parasol pines, exotic flowering succulents, giant rubber trees, cypresses and violet bougainvillea. 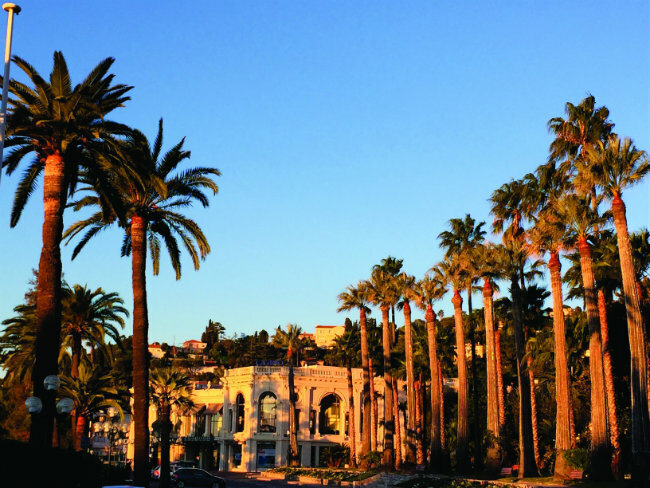 The crisscross of three main streets is all lined with citrus trees, sagging with ripe fruit. As a former New Yorker, I still marvel that no one strips them bare. Crime is pretty much nonexistent – the biggest danger in this tranquil town is the possibility of slipping on a fallen squashed bitter orange. Across from the Mediterranean, there’s a sprawling grassy park with a century-old olive grove where summer concerts are held. 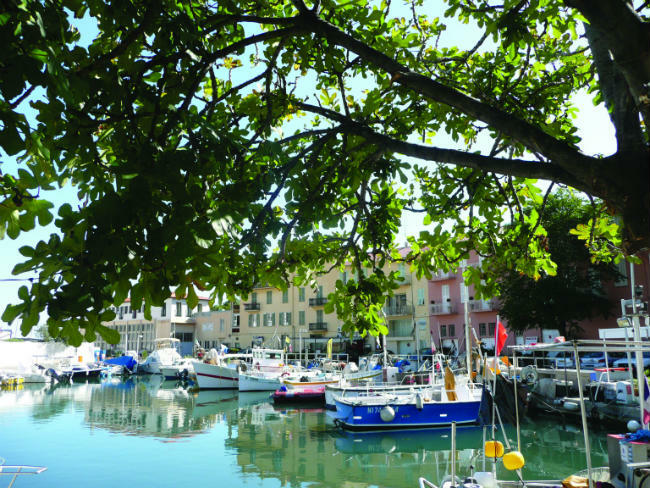 At the eastern edge of town, next to the yacht-clogged little port and a row of restaurants, is another hot spot, La Petite Afrique – Beaulieu’s mini-stretch of coast and a palm-shaded beach – which boasts a microclimate several degrees warmer than its neighbours. According to local lore, it was here that the first banana tree was planted in Europe. The harbour. Photo: Beaulieu-sur-Mer Tourist Office. In 1896, Beaulieu also became the winter home of Gustav Eiffel, who left his mark on the village. 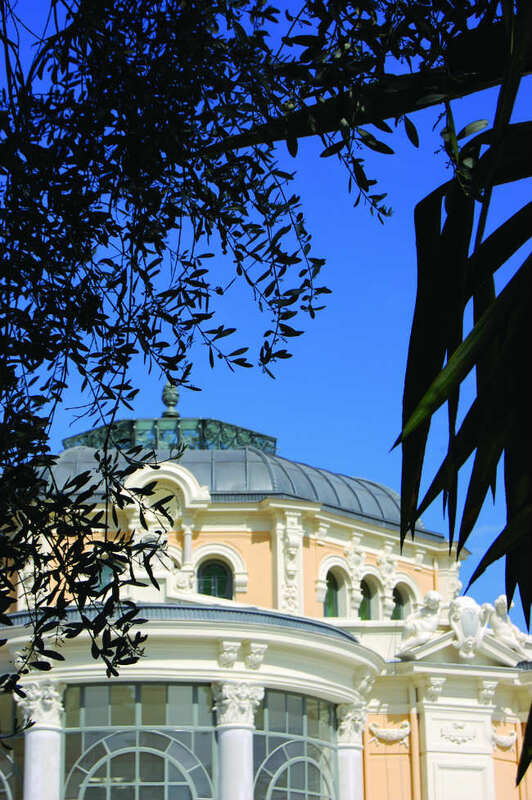 He designed both the seafront Casino – recently restored to its former glory – and the angel-adorned stucco wedding-cake Rotonde, now used for private receptions. When he wasn’t organising fencing or horseback-riding matches, the famed architectural engineer – who was also a meteorologist – conducted experiments on the climate in his villa, proving that Beaulieu’s winter temperatures were consistently seven degrees higher than in Paris. As the years passed, Eiffel gradually transformed his on-the-sea property to match his own tastes, adding vaulted arches, elaborate wood inlays, Doric columns and Florentine-style statues. Rumour has it that a Scottish entrepreneur who is already in the process of restoring the long-abandoned landmark hotel, Le Metropole, has bought Eiffel’s villa, which is right next door. Beaulieu’s ever-present, large British community still frequents the turn-of-the-century St Michael’s Anglican Church. Others hang out at the Gran Caffè sipping cappuccino as they page through the Financial Times. Come July, when the population triples in size, you’ll hear a lot of posh-accented Londoners who breeze through Super U, heaping their carts with cases of Whispering Angel rosé. Typically, our local supermarket caters to its foreign clients, with plenty of sharp cheddar cheese, porridge, oat cakes, Indian curry sauces. Want a jar of lemon curd? Try Beaulieu. All year round, the real hub of activity in Beaulieu is the main square, Place Marinoni, named after the town’s first mayor, a formidable inventor and local entrepreneur who, after 29 days in office, decided to resign from politics. The square is a multi-function rendezvous spot, bordered by towering plane and olive trees strung with festive little lamps. At the centre is an old-fashioned, grey-green, wrought-iron kiosque where bands occasionally play music; in the summer, out comes a stage for live groups and weekly balls and fireworks. The year-round daily morning produce market on the square is outstanding, shared by two rival marchands de légumes. I tend to drift toward Stéphane, a grizzled, gregarious charmer who sells ultra-fresh mesclun, heirloom tomatoes, mauve Italian eggplants, cartons of fat blueberries and delicious tapenade and olive oil imported from Ventimiglia, just over the Italian border. On Saturday mornings, the Provençal market attracts a swankier, cosmopolite crowd. Bentley convertibles with foreign plates double-park while Cap Ferrat matrons poke about the racks of silky tunics, scooping up bargains. It’s a joyous jumble of wares: authentic espadrilles, handcrafted jewellery, leather handbags, Italian cheeses and sausages, woven straw baskets, flowing linen skirts, Provençal quilts, and a stand for piping hot socca – a flat, savoury chickpea flour and olive oil crèpe sprinkled with pepper. It is rare to encounter traffic jams in Beaulieu, but I recently found myself in a terrible tie-up on the two-lane street that leads out of town. I opened my car door and craned my neck to see what the problem was. The municipal gardeners were unhurriedly laying beds of flowers to brighten up the aisle of the traffic divider. No one honked. After about ten long minutes, a Berlugan gendarme waved us forward with a friendly smile. Riviera life at its most genteel. Book a place with the tourist office to experience ‘In The Footsteps of the Belle Époque’, a guided tour of Beaulieu’s most beautiful architecture, or try one of the Botanical Walks, which include a glimpse of rare exotic species from the five continents. For more information go to the local Tourist Office website, which has lots of other important information for tourists and visitors too. 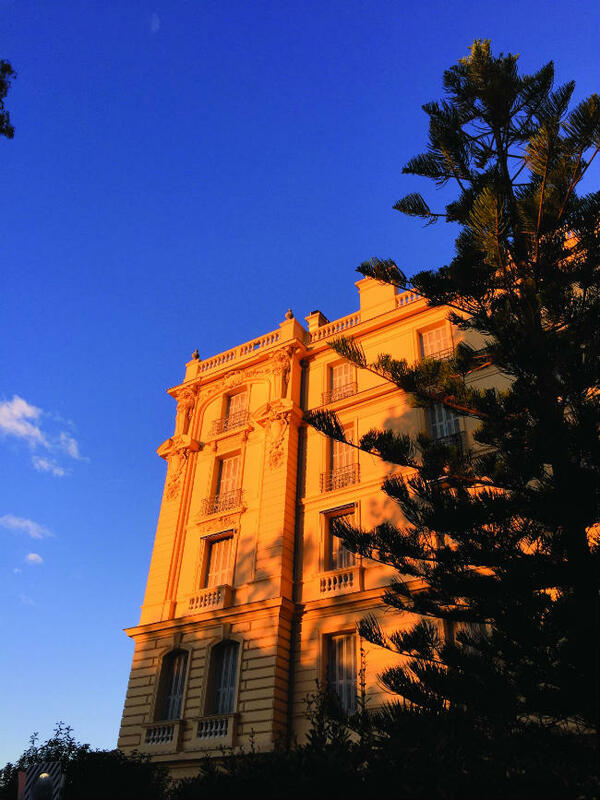 The impressive, white Villa Kerylos, near Gustave Eiffel’s former residence, is a not-to-be-missed museum on the water’s edge, near the Baie des Fourmis beach. It was built at the turn of the 20th century by the grecophile and archaeologist Théodore Reinach, and is a faithful rendition of a rich Athenian house from the 5th century BC, with everything from yellow and pink sunken marble bathrooms to a mix of original and reproductions of artefacts, furniture, frescoes, statues, and mosaics. The brand new Berlugan history museum has a fascinating collection of vintage photos (check out Lord Salisbury having tea in front of La Bastide), Roman coins and ceramics, and a prehistoric skeleton. Best of all: rare memorabilia from another notorious resident, the flamboyantly wacky James Gordon Bennett Jr, American editor of the Paris Herald, who was a generous Beaulieu benefactor. His Namouna Cottage, later bought by perfumer François Coty, still stands today. You’ll also catch a glimpse of photos of other famed regulars, including Jeanne Lanvin, Isadora Duncan and Igor Stravinsky, who wrote Petrouchka in Beaulieu. 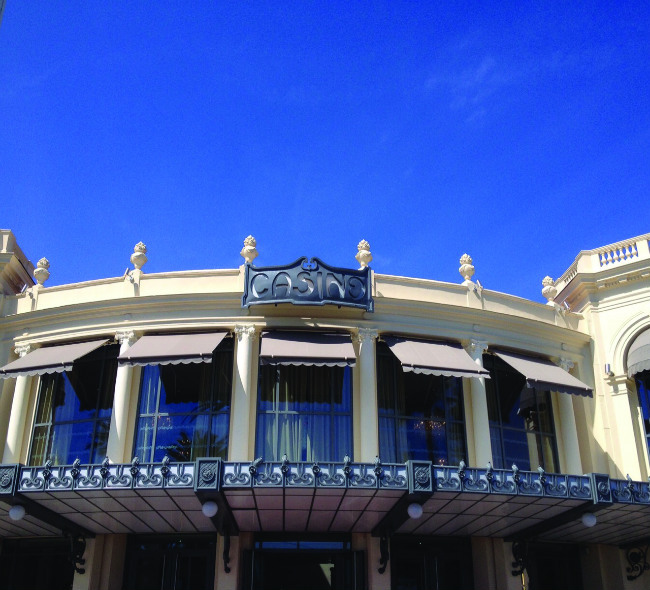 The Beaulieu Casino, a nocturnal haunt for high-rollers, also hosts concerts. Check out the new outdoor terrace restaurant with tasty southern Italian lunch prix-fixe menus. The Cinéma de Beaulieu, adjacent to the Casino, is a recently opened hi-tech theatre featuring a great international selection of films in their original version. 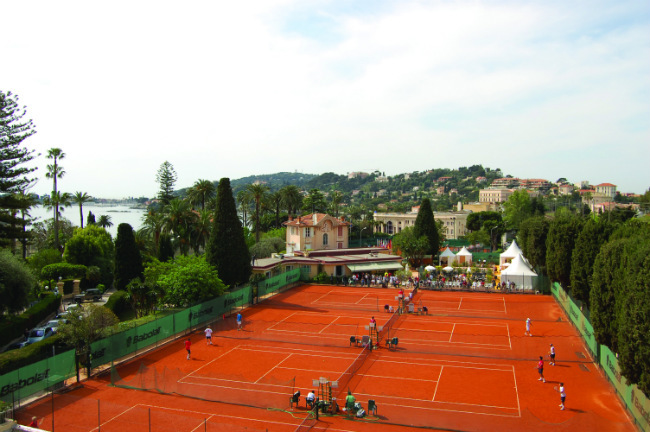 The Beaulieu Tennis Club is a lovely outdoor complex of red clay courts near the Baie des Fourmis. It offers day rates to visitors. The annual July Festival les Nuits Guitares is held in the village’s seaside olive grove. 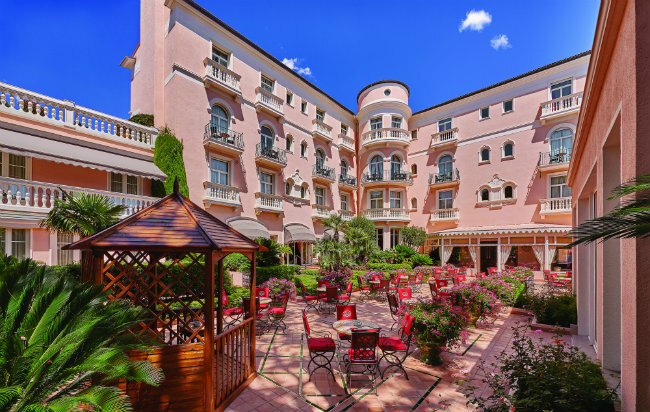 Ever since talented Michelin-starred chef Yannick Franques took the helm at the Restaurant des Rois, at Beaulieu’s historic elegant landmark pink hotel La Réserve (think Rita Hayworth, Clark Gable and Gregory Peck in its heyday), the culinary scene has been shining brighter than ever. But now that their new affordable informal sleek bistro, La Table de la Réserve has hit town, locals can’t get enough of the exquisite market-fresh dishes. From an open-plan kitchen, watch newly arrived chef Anne-Sophie Sabini dish up everything from mini pizzas and gnocchi to fish stew and roast chicken. Don’t miss the featherlight îles flottantes for dessert. Across from the row of yachts, Marcello dishes up delicious, ultra-fresh Italian appetizers and features a prize-winning Lambrusco. Coming this summer: another new bistro from the owners of African Queen (where the likes of Bono and Jack Nicholson are often spotted), featuring family-style regional cuisine. For a front row seat for sea-gazing, try this outdoor, classic Provençal restaurant at the new Berlugan Beach (it’s not a real beach – just some imported sand with sunbeds on top for inveterate bronzers). The crowd is upscale (valet parking, boat service from your yacht), the cocktails are pricey, but the view is worth the splurge. A great selection of multi-brand women’s and men’s sportswear, silky cotton prints, linen shirts and beachy Riviera-chic accessories. Beaulieu boasts four boulangeries and three pastry shops, but at the recently opened Divines Farines you can get a wide variety of breads with organic flour or without gluten, plus bagels, sandwiches, salads and pastries for gourmet picnics. Best bet: the Matcha green tea brioche, and also the turmeric bread. I agree, this is a gorgeous town, we spent 2 weeks there last September. However, I must add that the waiters and the servers were the rudest people I have ever encountered in France. I speak French quite well but whenever I started speaking French English was spoken over the top of me. We tried to have an aperitif at the most popular bar in the Main Street but were totally ignored and after 40 minutes we moved on. Would I stay there again, no. 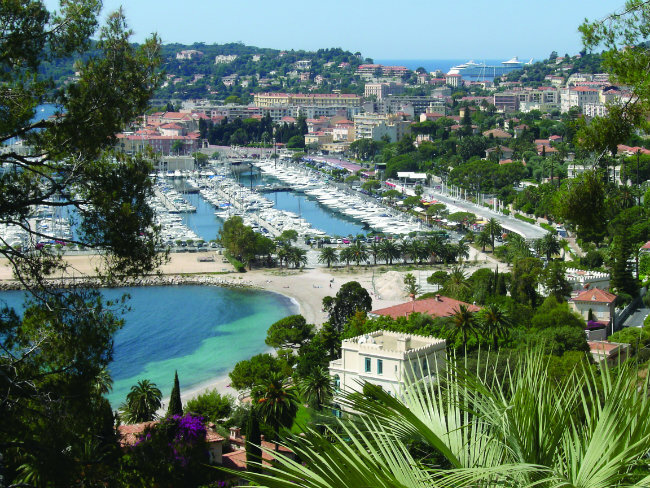 Stay in Villefranche-sur-mer very pretty, friendly and then walk over to Beaulieu-sur-mer for a swim.